Make woom for the Wookiee! 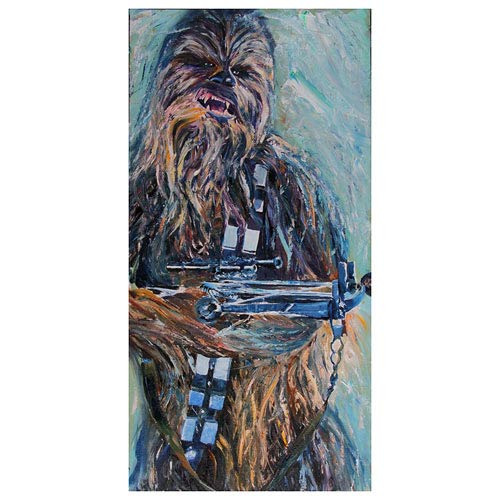 The magnificent Chewbacca on a paper giclee art print! Limited edition of just 50 pieces! The magnificent Chewbacca stands stoic and prepared for battle on this exceptional giclee print! The Star Wars The Great Chewbacca Paper Giclee Print shows the ferocious warrior of Kashyyyk at the ready, with his signature bowcaster in hand and a snarl displayed on his face. An unframed limited edition of just 50 pieces, this colorful piece of artwork from the Star Wars universe is printed on paper and measures 19-inches tall x 13-inches wide.